The was sun shining and the Lake district looked ever more welcoming as LX gathered for a two day hockey tournament involving 5 teams. With Pallatics having travelled over from the Newcastle area and already playing earlier against a South Lakeland XI, LX took to the field full of enthusiasm after the long trek north. This state of mind was very short lived as within 2 minutes of the start they found themselves a goal down when confusion in the goalmouth gifted Pallatics the opening goal. Matters then went from bad to worse as LX repeated the error and within 5 minutes found themselves on the wrong end of a 2-0 scoreline. Struggling to bring order to the situation required a period of stability retaining possession and bringing everyone into the game but captain Ray Jeff found it hard to establish a sound base as simple passes went astray. With Mark Watson, David Read, Alan Jackson and John Longden making up the rearguard and Peter Danson, Ray Jeff, Bob Purshouse and John Land filling the midfield, it should have been possible to work the ball forward to Graham Martin and Gerald Wilkinson but it was proving very difficult to find their own men and Pallatics stayed well on top improving their goal tally to 5 by half time. Determined to improve on the first half performance, LX began the second period with a renewed vigour and endeavoured to put pressure on their younger opponents. Passes at last were finding their target and the forwards were getting a supply of ball but it was still proving difficult to deliver into the circle with a chance of bringing the ‘keeper into action. Defensively, the rearguard was much more composed and Alan Dures was under less pressure. Just as it appeared as if LX could hold out without conceding further, Pallatics pounced to put a final nail in the LX coffin. As the early morning rain cleared, LX took to the field in determined mood. Operating again with a 4-4-2 system they were immediately into their opponents half with slick interpassing and forced an early short corner. Mark Watson receiving slipped the ball to John Land whose fierce shot whistled past the left hand post. Keswick were well in the game and carried play to LX but the defensive unit of Read, Longden, Jackson and Watson were well able to deal with any threat and provide the midfield with a steady supply of good possession. Graham Martin and Gerald Wilkinson were prominent up front working hard to break down the Keswick defence. Both sides created chances but at half time there was still no score. For the second period Andy Holden came on in place of Alan Jackson and play continued in a similar vein, both sides working hard and playing enterprising hockey. After 20 minutes LX were unfortunate to finally concede when Keswick were able to profit from a dubious penalty corner award. LX heads did not go down and play continued to be fast and open, LX striving manfully to get on level terms. Both sides created further scoring opportunities but at the final whistle the score remained 1-0. This was a much better performance by LX after the disappointment of the previous day. 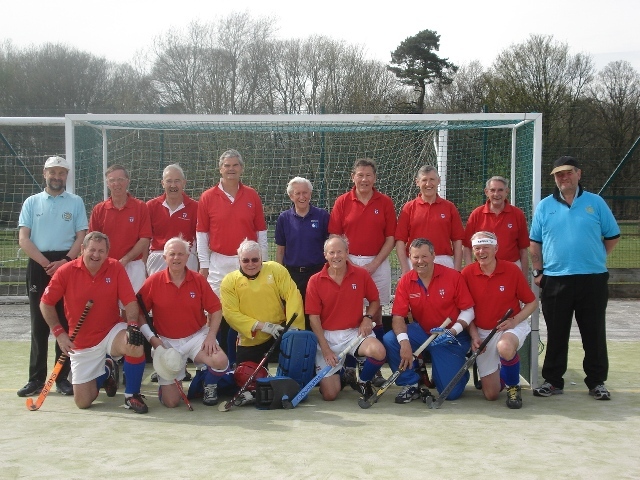 The hockey was of a high standard and a credit to both sides. It was also good to see Jim Standish back in attendance acting as Team manager on both days and taking care of LX organisation! All present enjoyed another great stay at the Briery Wood Hotel and the Saturday evening dinner was enjoyed by all. Thanks were once again expressed on behalf of the members by Bob Purshouse for Andy Holden’s efforts in putting together another top quality weekend.